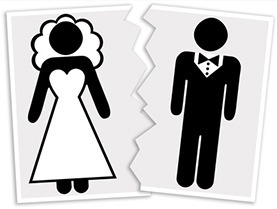 Dissolution of civil partnership can be an emotionally difficult time which affects a lot people. We appreciate that individuals end civil partnerships for many different reasons and we are here to listen to you to best advise you on your case and the issues that arise. It is our aim to make this process run as smooth as possible and to resolve the matter with a swift conciliatory approach. We appreciate that dissolution can be both financially and emotionally overwhelming and we take great pride in ensuring that our clients are satisfied with our fast and efficient service. Our clients’ interests are of paramount importance and we take a firm stance in representing those interests with a view of obtaining the best possible outcome. If you are seeking advice on civil partnership dissolution, please call us on 0207 998 7777 and we will provide you with prompt information to help you through this trying time.